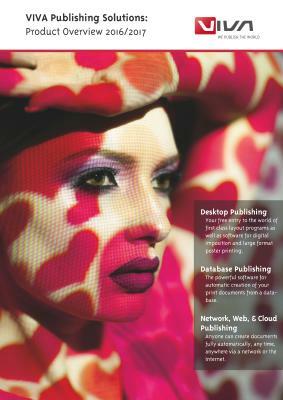 The most powerful Database Publishing tool on the market, developed by one manufacturer as an »all-in-one« product. Why? Because due to its ability to create complex documents fully automatically and at the same time offer a simple user interface that enables but does not require additional programming. “VivaNWP Designer” is, in a nutshell, a programmable layout program with links to a database or data source. Thus individually created layout templates may be filled/updated automatically with database content. Based on »VivaDesigner«, VivaNWP Designer offers many additional graphic functions such as dynamic tables, graphs and charts or bar codes. The benefit: With the integrated rule structure, graphic designers or database users can achieve perfect results, without being programmers or learning a programming language. In this way it is unnecessary in most cases to use the integrated programming languages »Java Script« or »PHP«, which are praised by the professionals. Click here for more information about general Database Publishing processes.